YC S12 company Instacart is well on its way to being one of the iconic companies of our times. How it started has been covered before: Instacart founder Apoorva Mehta hacked his way into YC by sending me a six pack of beer. 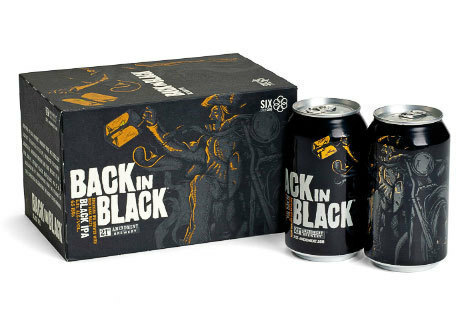 It was a cold and refreshing pack of 21st Amendment's Back in Black, as pictured above. Apoorva sent it over using his own service two months after the deadline for applications at YC. The hack wasn't the thing that mattered, really, though. What mattered is what Apoorva had already built something amazing. I had already seen dozens of startups say they were going to do grocery delivery. But we had never actually seen someone build an app with thousands of products in it, with a few real drivers using the app to deliver real groceries every day. I downloaded the app that afternoon and was blown away at how much had already been done. That was absolutely remarkable. Everyone else was dreaming. Apoorva created it. And then everyone wanted it. That's the key lesson here. Don't be a dreamer. Manifest that dream. Build it. Write the code. Spin up the service. Hire. Create. 20 visitors upvoted this post.